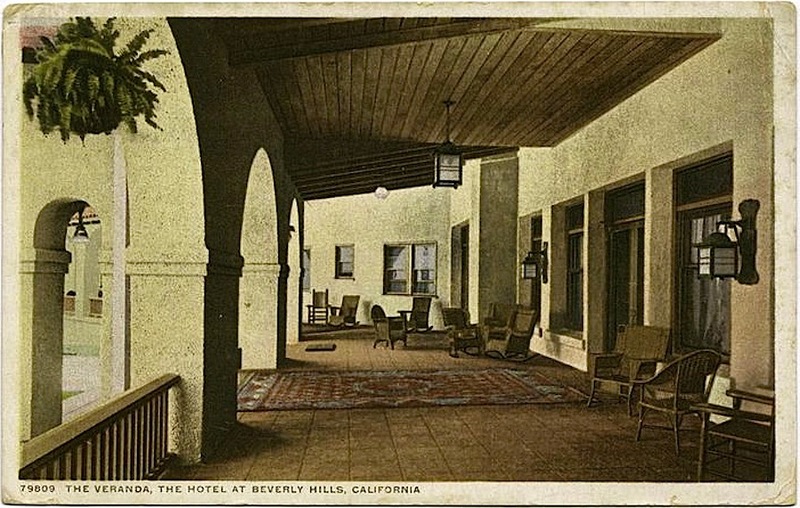 “The Veranda, The Hotel at Beverly Hills, California,” ca. 1889 – ca. 1931, a postcard by the Detroit Publishing Company, via New York Public Library Digital Collections. I can just imagine how lovely it must have been to sit on that porch. So California. Love the Australian photographer. Went and looked at a number of his images. The woman in the veggie garden looks like she must have been a fun and feisty person to know. Very calme and luxe, yet rustic. A style that still seems very current for southern California. I love “Charlie’s sister” among the vegetables. She’s holding still, but she can hardly contain her amusement.